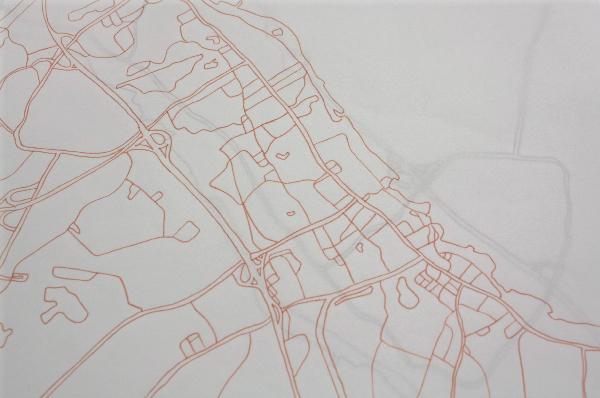 I’ve continued drawing with pen on vellum but I switched from cells to maps. There was a messiness about the drawings that I wasn’t happy with. 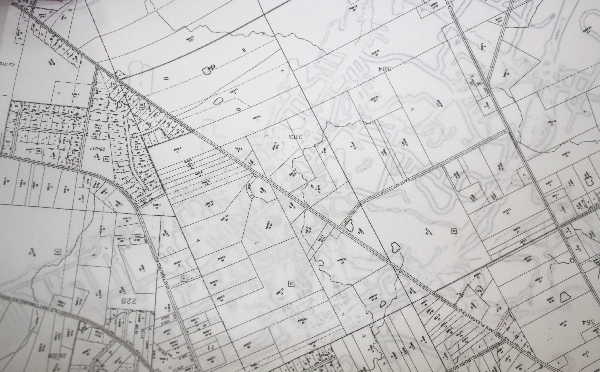 I think of precision and clean straight lines when I think of maps and I wasn’t achieving that with pen. I really like the process of tracing on the vellum and working with my hands, but I wanted to try something different. I started printing on vellum instead. Instead of putting a lot of work into creating my own maps, grids, or designs in Illustrator, I wanted to test out how the vellum would work in the printer and how the ink would print on it first. It might have ended up being more work to try to find large enough images, and edit them in photoshop to make them transparent, but I was so happy when the vellum went through the printer with no problems. I also photocopied some images onto the vellum and it worked in the photocopiers as well! So my first step is to draw/print on the vellum then I’m going through and cutting out parts like I did with the cells. After I do that with the ones I’ve already printed out I’m going to create my own designs in Illustrator. © 2019 sylva sylvarum. Valid XHTML 1.0 and CSS.